It is crystal clear that terror attacks that occurred in Rakhine State are not hasty attacks but organized ones. Bengalis have opposed the government’s frequent efforts to solve Bengali affairs in that region in accord with the law. Such conflicts occurred as Bengalis objected to the government’s plan to scrutinize illegal Bengalis. 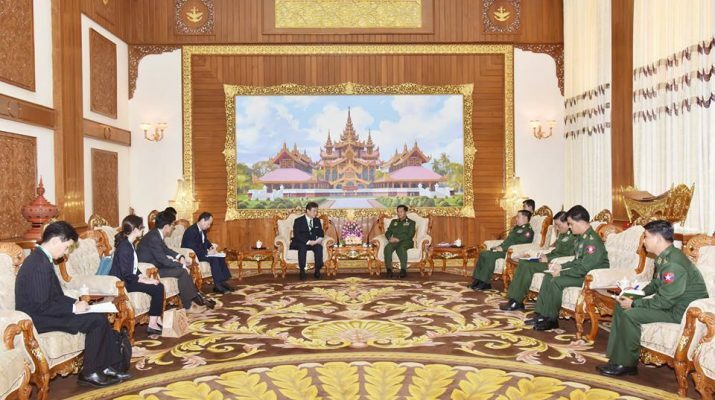 We would seek the best possible ways to solve this problem, said Commander-in-Chief of Defence Services Senior General Min Aung Hlaing at the meeting with Mr. Iwao HOR II, Parliamentary Vice-Minister for Foreign Affairs of Japan, at Bayintnaung Villa here this evening. Also present at the call together with the Senior General were senior military offi cers of the Office of the Commander-in-Chief (Army). 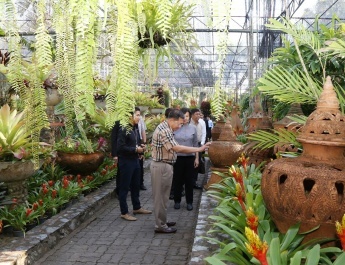 The Parliamentary Vice- Minister was accompanied by director Mr. Yukio SAITA. The Parliamentary Vice-Minister said Japan would provide assistance for Myanmar’s nation-building projects in all sectors. 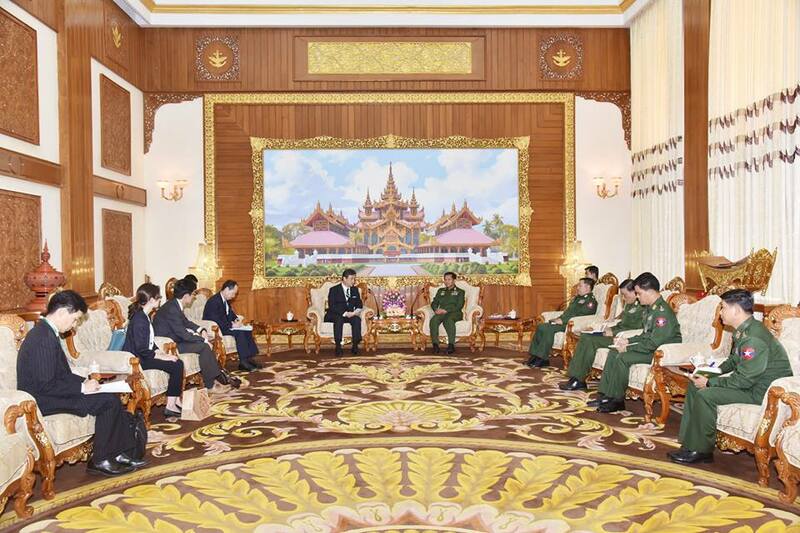 Japan had thorough understanding of Myanmar’s efforts to deal with the Rakhine issue amid various challenges. Japan strongly condemned terror attacks on security forces in Rakhine State and would extend a helping hand to Myanmar for the restoration of peace in Rakhine State. After that, the Senior General said he would like to thank Japan for its stance on Myanmar. Myanmar welcomed Japan’s cooperation as both countries had a longterm relation and had been the old and good friends. The government already said that humanitarian aid would be accepted when they were shared among victims fairly. The Tatmadaw would extend a helping hand. During his tour to the region, he saw that the displaced were in need of assistance. But he found that some people were doing it on purpose in order to get aid. It needed to give security to the displaced, to send them back to their regions quickly and to restore peace and stability to the region. 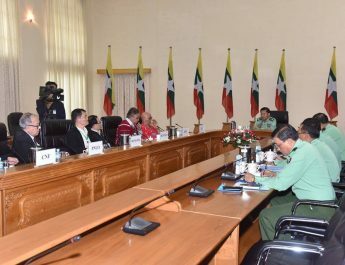 The Parliamentary Vice-Minister said he respected efforts made by the government and the Tatmadaw for human rights affairsand the restoration of peace and stability in Rakhine State based on rule of law. Japan would provide necessary assistance for the implementation of a report of the Kofi Annan Commission. The Senior General said the Tatmadaw sent an investigation commission led by a Lt-Gen to probe into the 2016 October incident. Prompt actions were taken against those involved based on three fi ndings. 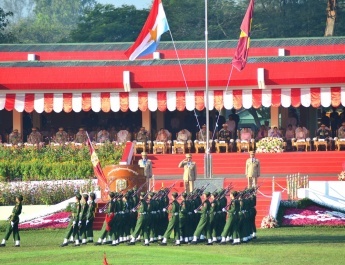 The Tatmadaw was performing its duties in accord with the Code of Conduct and had distributed a card that shows the enforcement of rules for armed conflicts to each serviceman. The Tatmadaw would help support the implementation of constructive suggestions given by Mr. Kofi Annan. The Tatmadaw made cooperation in national reconciliation, peace and stability and enabling the multi-party democracy to be on the right track. Both sides also discussed a plan to promote amity and cooperation between armed forces of the two countries. 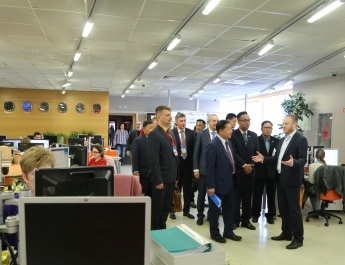 After the call, the Senior General and the Parliamentary Vice-Minister exchanged presents and posed for documentary photo together with members.